Another year is coming to a close. I want everyone to know that I appreciate you reading my blog and I hope you find it helpful. I know some of you are new to reading it and some of you have been longtime readers. I want to close the years out by sharing some of my most view entries over the years of writing this blog. I hope you enjoy. Thanks for reading and I will see you next year. The other day I sat down and took a little mental inventory of the year. -My oldest boy was a senior. This was a first for me. This year included his final basketball game in High School. -My third son broke his ankle in 4 places and needed surgery. First surgery in our family. -My dad had a second major stroke. Things spiraled down, and we thought we were going to lose him in July, but he battled back. Recently he has been losing ground again. -Graduation day came along with a reception to celebrate the day. -My mom got an infection called C-diff and has been in the hospital a couple of times. -We went on a family vacation for the first time in years. One week is just not enough. We did get to see the Holy Land of Green Bay, Wisconsin, and Lambeau field. -My Church hired a new office administrator. Gus became a secretary and an extremely helpful assistant. -My mom discovered she had cancer and needed scans. Finally, she received radiation treatment. Her last checkup showed everything doing well. -I served as a VBS director. First time in 17 years. -I bought a used boat for fishing. Tried to spend some time on the water. -Canceled my next vacation and made a few trips to help my parents in Indiana. -Took a son to college. Another first for our family. Cried most of the way home. -Put his younger brother into his senior year. After numerous college visits this fall, we think he has landed on attending Drury University in Springfield Missouri. -My Church hired a new children’s minister after six months of searching and praying. She has been an enormous asset to our Church and our children. -My second son had surgery on a torn meniscus. Missed part of senior football season but still did well when he played. -Another football season for three boys finished and in the books. The final football game for another senior boy. Done with Jr. High football forever. -Thanksgiving in Indiana with the family. -An exhausting two-month Jr. High basketball season. Final games of Jr. High basketball and football are in the books. Next year everyone is in High School or college. -Another Christmas season at Church. Presents and programs are all done. -New Year’s Day is on the way. It exhausts me just thinking about it. This year has had its share of ups and downs. It has left me tired and emotional at times. Two Biggest lessons God has taught me this year. 1. Love your family while you are able. We are quickly losing dad on one side, and my boys are leaving home on the other side. Our days are always numbered with the people we love. Live accordingly. 2. You never know what tomorrow brings. I asked my staff at Christmas if they ever dreamed of living in Adrian Missouri a year ago, both responded with a firm “no.” One son broke his ankle jumping up for a basketball, and the other tore his meniscus jumping in a pool (we think). Life is full of twist and turns, and you are never really prepared for what happens next. Some years are lived with both hands holding tight to God. For me, it was one of those years. While things are frequently difficult, God is good, and my faith has grown. I hope 2016 was good to you. I especially hope 2017 is better for all of us. I love the Church. I find it to be the greatest community in the world. All over the globe, there are little clusters of believers who gather together to learn, to grow spiritually, to serve, to love one another and to love God. These groups are usually full of people who are kind, gentle and full of grace and mercy. I love the Church. I love it so much that I became a leader. I spent five years in Bible college, went on a mission’s internship and started a career totally dependent on the people of the local Church. I have lived as a leader of God’s people for over 23 years now. This is my life, and it is all I have planned for my future. I have often told my wife that I will preach until I can’t remember what to say. With all that said, can I be brutally honest? Some days I get tired of the Church. I have a friend who went to Bible college with me. He tried to be a Church leader, and after about ten years he quit. Now he is not a Church leader and is not attending a gather of believers anywhere. I asked him about it, and he says, “I left it years ago, and I have never been happier.” Unfortunately, I completely understand what he means. First – I get tired of Church programming. We are just coming off the Christmas season. I make no pretense; this season is so repetitious to me. Year after year of the same stories, decorations and holiday small talk. As a Church leader and Church member, I must come up with new ways of doing the same thing year after year. Whenever Christmas is over, I am exhausted. Then I wake up and know Easter is coming, then Mother’s Day, then Father’s Day, then VBS, then a fall series, then Thanksgiving and finally back to Christmas. Once it is over, it starts again. It is like an endless treadmill of the same routine. Second – I get tired of some Church people. I know this sounds harsh coming from a pastor, but I said I was going to be brutally honest. There are some people who wear me out. These come in various forms. On one side, there is the group of needy people. They always have something wrong. They always need help in one form or another, and they always want to talk. On the other side, there are the disappointing people. People who I thought would stand beside me and help in ministry but decide some other activity is more worth their time. I thought they would help me with the programs and they are just a bunch of talk with no action. There are those people who have hurt my children’s faith by their lousy Christian example. Finally, there are those people who I thought were growing in their faith and one day leave the Church and never return. Quite often these people see me in town and turn the other way or ignore me altogether. There are some weeks I sit in my office and wonder why God called me to lead his people. I dream of walking out and never coming back. I go to work at an ice cream store, and everyone is thrilled to see me. In these moments, God calls me back to reality. First – God reminds me who people are really rejecting. Ministry is very personal, and when someone walks away from God, it feels like they are walking away from me. I need to be continually reminded that God is grieving over certain people far more than I am. They are rejecting God. I am just a messenger. Second – Hope glimmers in the distance. Ministry is a long-term occupation. Rarely is a real impact made in one year or five years or possibly even a decade. I think of what my life was like just nine years ago, and realize I am different person today. People may walk away, disappoint or even curse me, but that does not mean that the story is over for them. Their transformation into Christlikeness will take a lifetime. Third – There are still lots of great people in the Church. My tendency is to focus on the draining programs, needy people or disappointing experiences instead of all the good things in the Church. While those exist, there are also some wonderful, caring people who do stand beside me. There are people who stand up for what is right in the face of evil. There are people filled with love for others while some are self-absorbed. There are friends who are praying for me when others curse me. There are wonderful men and women who love God and the Church right along with me. I need to see these people more clearly in my life and faith. The honest and often brutal truth is that many pastors and Church leaders and even longtime Christians feel the way I do this week. We are tired of the Church. We feel like sleeping in next Sunday and who knows what next year may bring. This may be the year I just give it all up. If you are part of that group, let me beg you to hold and see the good in the Church. Together we will stand until Jesus calls us home. This year our December youth group lesson series was entitled “The Place of Christmas.” For three weeks, we focused on the locations mentioned in the Biblical story of the birth of Jesus. First, we looked at Nazareth as the place the angel spoke to Mary. It was there that she said “yes” to the work of God in her life. Second, we looked at Bethlehem as the birthplace of Jesus. It is at the center of the Christmas story, in fact, we sing about it each year. Finally, we taught about Egypt. This is a place of escape during the incarnation story. Most nativity sets contain the baby Jesus, Mary & Joseph, shepherds and wise men. Well, I hate to ruin your set, but the book of Matthew says that the Magi or wise men arrived to see Jesus at a house (Matthew 2:11). Before they arrive, they stop and have a talk with evil King Herod. After their visit with Herod, they go by the house where Jesus was staying. Finally, they return by another route being warned in a dream about Herod’s true intentions of killing Jesus. The book of Matthew pauses for three verses to tell us that God used a final angel to warn Mary and Joseph about Herod and that they should flee to Egypt until Herod was dead. I admit that I have never preached or even taught on these verses. Honestly, I have never heard anyone preach or teach about them. 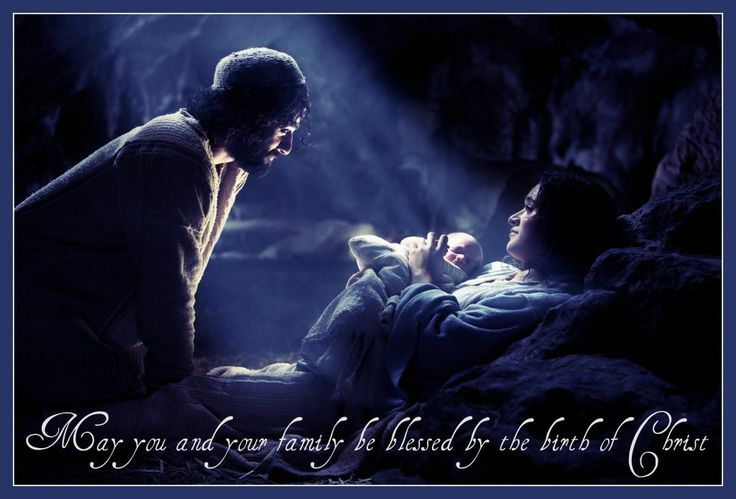 The night of the birth of Christ was a silent and glorious night. A young man and his wife visited by shepherds who spoke of angels. Quietly beside the manger looking at their first child and contemplating all the various angel’s words must have made the couple nervously excited about the future. Then a sometime later one more angel shows up, and they quickly pack up and take off to Egypt. They take roughly a 430-mile journey with a baby to a city they had no familiarity with that we know about. It must have turned a silent night into a hectic journey. The couple and baby Jesus flee to Egypt. There are three reasons for this journey. First and most simply, God is keeping them safe. Second, it fulfills a prophecy from the pen of Hosea. Finally, Jesus is portrayed the new Israel. He spends time in Egypt before returning to the promise land just like the Israel of old. It is an odd story, but it contains some interesting lessons for us. It gives us a picture of God’s grand design over history and the life of Jesus. It interconnects the Bible prophecy and fulfillment as only God is able. The story also holds a very practical lesson for us today. God’s plan is never easy for anyone, even Jesus, and his parents. God could have taken care of Herod and left baby Jesus family happy in a stable home in Bethlehem. Instead, he takes them on a distant journey to fulfill his bigger plan. Is it possible that your life might be a difficult journey right now? Is it also possible that God may use that as a part of his bigger grand design? I think so. Jesus was called out of Egypt and not saved from going there. Christmas is over. Within one week, many places like the Church I lead will take down all their Christmas decorations. The stable is packaged up and safely and stored for another year. Mary and Joseph go back in the box beside the angels, sheep and even the baby Jesus. I know there are a few people and a few Churches who work hard to keep the Christmas spirit alive through the next few weeks. Some Churches add Epiphany to their liturgical calendar to take the holiday into January. In my background, once Christmas day is over, Christmas is completely over. 1. Make worship a weekly practice. Over the holiday many people went to Church for the first time this year. They stepped out and went to some Christmas program at a Church. Hopefully, it made them feel something in their soul. The holiday took on a spiritual meaning they can’t quite explain. I want to tell you that it is possible to generate these feelings every week. Each week we look into the past to better understand today and give us a more meaningful future. 2. Keep reading the rest of the story. If you went to a Christmas program, then you likely heard the story of Matthew 1-2 or Luke 1-2. It is possible that these passages sparked something within your brain that made you think deeply about God and your soul. Let me tell you; there are a lot more chapters to read. Keep reading from the book or Matthew or Luke and who knows what you will learn. 3. Make plans to be generous all year round. Many of us plan and budget so that we can afford to give gifts at Christmas. What if you did that throughout the year? What if you did something generous every month for the people in your life? I believe it would make you into a wonderfully generous person. 4. Spend more time with people. At the holidays, you are constantly surrounded by people. You go to visit them, and you allow them into your home. What if you planned to open your home on a regular basis? What if you made time in your schedule to go out to dinner with some friends? Maybe you would find more joy in other people the whole year through. 5. Start planning for Easter. Believe it or not, we are only three months away from Easter. What if you made a plan now to celebrate Easter like you did Christmas? Plan for worship, a family gathering and a generous outpouring of love. Allow Christmas to carry you to Easter in the joy of the Lord. I think it will take some effort, but with some planning and preparation you can take the joy of this holiday and keep it alive for weeks, if not months, to come. I want to wish everyone a wonderful Christmas weekend. Adrian Christian Church (where I serve) is having our Christmas worship time tonight – Friday, December 23rd at 6:30 pm. Have a wonder Christmas as you celebrate the birth of our Lord and Savior Jesus Christ. We officially celebrated Thanksgiving a month before Christmas. I have often thought that we should celebrate it the month after Christmas. During the Christmas season, many of us will receive and receive some more. We will be blessed with gifts, cards, and love through the next several days. I want to remind everyone to say thanks for what they receive. I do not equate a passive “thank you” a second after you open a gift with being truly grateful. Stop what you are doing at some point and look the other person in the eye and say, “I want to thank you for …” If that opportunity does not present itself then sit down and write a thank you card. Express your gratitude for what other people do for you. As Christians, we believe that God is the source of all things. He gave people their lives, their jobs and their connection to you. They took the blessings in their life and shared them with you. Take a moment to pause and say “Thank you God” for this wonderful item and these special people. In the joy of the holiday season be sure and take a few minutes to be thankful for the blessings you have received. It will not be a repayment for what you were given, but it will be a step closer to joy for both of you.